Becoming a Proverbs 31 woman is no easy feat. In fact, if you jump in and start trying to be a virtuous wife and godly woman by using Proverbs 31 as a checklist, you’ll end up defeated and exhausted from striving. Any study of Biblical womanhood is bound to land you in Proverbs 31 at some point. And if you’re not careful, it will leave you feeling helpless, hopeless, overwhelmed, and downright frustrated. You may even want to toss your morning coffee in her beautifully make-upped face as you run your hand through your uncombed hair in the morning while you try to keep it together as life unravels at your feet. But that’s because you’ve only seen the myths. Let’s dive in here and explain Proverbs 31 a little more clearly. Most young Christian wives have heard about this mythically awesome creature known as the Proverbs 31 woman. They turn to the Word and read about this pillar of virtuous womanhood and immediately feel ashamed for sleeping in, leaving dishes in the sink, and fighting with their husband at the grocery store last week. Oh my dear, if that’s you, I’ve got some wonderful encouragement for you. When you read Proverbs 31:10-31, it’s easy to see all the ways you fall short. But what you should be seeing is all the ways you have before you to mature and God’s precious grace that will help you each step of the way. After all, the Proverbs 31 wife wasn’t a newlywed. She was a seasoned veteran at marriage, motherhood, homemaking, and entrepreneurship. And in addition to a lot of experience, she also had a lot of help making it all happen. So stop trying to become her and instead focus on what this chapter is teaching you about God and the fruit of your relationship with Him. It’s much less exhausting that way, and it’s what our gracious Father intends. 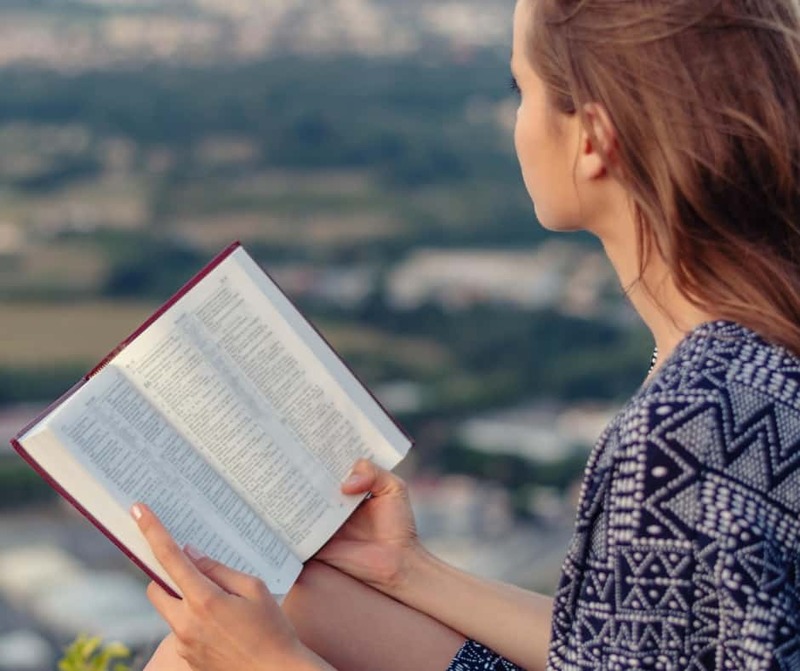 Many people mistakenly believe that the Proverbs 31 woman was a real woman, the wife of a king, and she is the gold-standard in Biblical womanhood. This is actually not true! 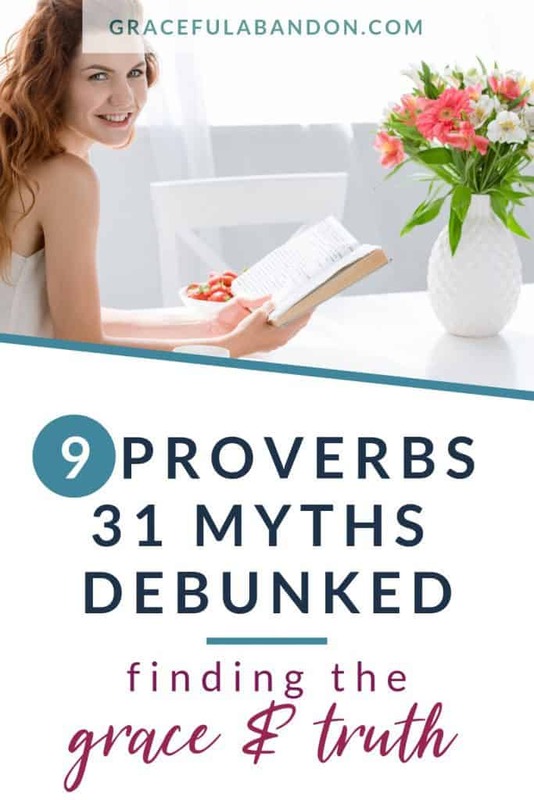 Did you know there is no actual Proverbs 31 woman in history? The Proverbs 31 woman was never meant to be your role model, but rather a story told to a son by a mother who wanted him to appreciate a godly wife. This woman knew how to get things done, that’s for sure. She arose in the wee hours of the morning, she burned oil in her lamp at night, and she seemed to be all over town hustling. It appears that she never slept or had an off day. Any devout God-follower in the time that Proverbs 31 was written would have honored the Sabbath for 24 hours out of every week. Rest was not only beneficial to her after hard work, it was mandated by law. Listen up, Buttercup: God calls you to rest. In Him, striving ceases and grace abounds. Yes, we are diligent women who accomplish much…but we are also led to lie down in green pastures (Psalm 23) and rest in Him. A virtuous woman knows what Sabbath rest is and practices it. You’ve probably seen it. Woman grind their own wheat and flax, try to learn to sew clothes, work themselves to the bone around their home, and fall into bed exhausted and well on their way to bitterly resenting their marriage and children because of it…all in the name of a Biblical ideal they are supposed to model. Is this really what the Wise Mama wanted for her son in a Proverbs 31 wife? Or what God wants from you? This is a myth that is dangerous. When Christian women make Proverbs 31 into a checklist, they will fall under condemnation. A good Proverbs 31 Bible study will make it clear what a mistake it is to think this way. While it’s true there are godly virtues explained here that godly women should want to exemplify, this is not a way to make God happy or earn His favor. That’s just not how the free gift of salvation works and it’s completely opposite of grace. So what is the purpose of Proverbs 31, then? Rather than pattern your life after this Proverbs 31 woman (who never existed anyhow), press in closer to God. Know Him better and let your life bear the fruit of that intimacy with Him. After all, choosing Jesus changes your life and you begin to bear His image more and more each day. When you do this, you will have live the principles (virtues) set forth in this lovely ode to a godly wife. Don’t ever buy into the lie that there is a law we must follow to earn God’s favor or to become His child; Jesus took that burden straight to the cross and left it in the grave, my dear. That’s not for you! So what if you’re a modern woman? What if you work outside of the home, use Amazon to buy your laundry detergent and Walmart pickup for your food, and have a side hustle to help meet the needs of your family? Sounds like you just can’t be a Proverbs 31 woman after all, doesn’t it? Listen up, my dear, and listen well: that’s a load of stinky stuff that no one wants to smell (unless they are gardeners). Ahem. The truth is that Proverbs 31 isn’t a list of things that you have to do or miss the mark completely; it’s an outline of virtues the are present in the life a woman who fears the Lord (Proverbs 31:30). No matter what your daily life looks like, whether you are Claire Huxtable or June Cleaver or someone else altogether, if you fear the Lord and follow Him with passionate pursuit then you are indeed a Proverbs 31 woman. Proverbs 31 is undoubtedly about a wife. That means if you’re not married, then this part of the Word has nothing to do with you. Have you heard that before? Yeah, it confuses me, too. Lovely woman of God, all of Scripture is for your benefit…including Proverbs 31. While the parts of the this chapter that are instructional for marriage may not directly apply to you on the surface, pull back for a moment and look at the bigger picture. Can these virtues apply to your relationship with Him? YES! And they should…for all women, married or not. We should live in a way that honors God, that doesn’t hurt His reputation, that focuses on delighting and blessing Him. You hang your head because that’s not you. No, you’re up at night walking the 5th floor in your scrubs and cleaning bed pans only to run home in time to kiss your kids as they run to catch the bus. No Proverbs 31 jewel in your crown one day, if “they” are to be believed. Stop right there. Hold that guilt train before it ever leaves the station. If God has called you to work, if your husband is blessing your efforts, if you are loving your family well…hurrah! If your work or side hustle in an idol that pulls you in so much so that you neglect your family as you chase a success that leaves them stranded, that’s different. But if you work? Or have your own business? And it blesses them? Good on you, my dear, good on you. Because it’s not about how you spend your minutes so much as it where your heart is when you are spending them. She did it all. And you can’t. May as well abandon all hope, eh? After all, Proverbs 31 explains how she ran her home, juggled businesses, honored her husband, loved her kids, was a rockstar around town, and never had a nervous breakdown making it all happen. She had handmaidens and relationships that helped. She was a manager of her home. Managers oversee things; they don’t do them all on their own. It’s okay to have help, whether that help is your kids doing chores, your husband grabbing grocery pick up on his way home from work, Mother’s Day Out for your kids, or a friend watching them while you study for a final or run off to clean a house and make some extra cash. Stewardship and delegation are different than do it all yourself and burn out before you’re 50. Not even close to true! Just as it wasn’t written about a specific woman, neither was it written for women as a guideline or a set of standards to live up to. Again, dear one, no. The enemy of your soul would delight in little more than having you work yourself to the bone and burn out before you can love your family well and teach them to love Jesus well. He would have you believe that your actions determine your success, when really what it comes down to is fearing God. And Proverbs has many other verses women ought to read and prayerfully consider. A godly Proverbs woman knows that she is after delighting God and not merely living up to a checklist. She bears His image and endeavors to seek Him first, and the rest falls into place when she fixes her focus and sets her priorities straight. 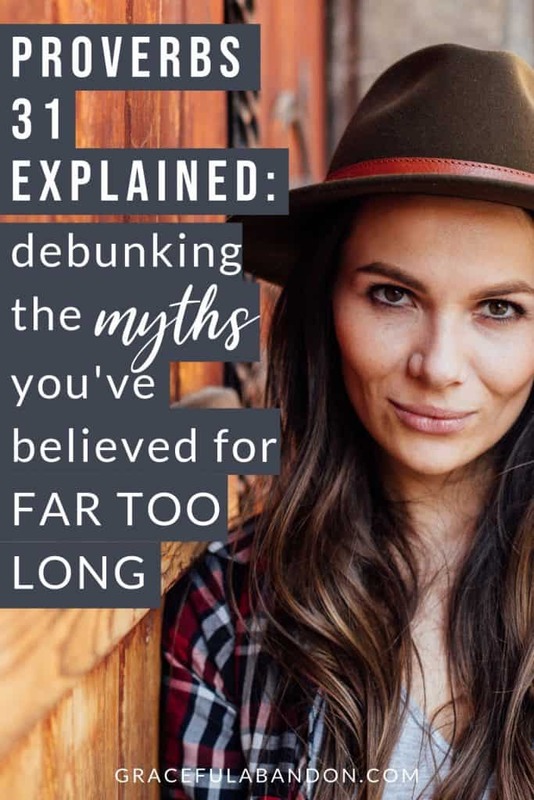 Love this debunking the myths of the ideal woman! Gosh, I always wondered how I could ever get there. Thank you for showing me what it really means! P.S. I’m a total fangirl of your blog <3 Ladies reading this, check out Julie for some more awesome encouragement! Lisa- I loved this post! It’s encouraging and inspiring! I can do so many of these things when I realize what it doesn’t mean!